Standard Bank opened its doors in 1913 in Wilkinsburg, Pa. where the bank functioned as a savings and loan bank. The bank served the local Pittsburgh community for several years until the bank decided to open community banking office locations around the area. In 1968, the bank opened its second location in Monroeville. 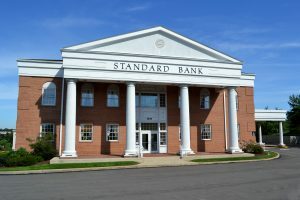 After a few locations, Standard Bank built its new headquarters in 1986 on 2640 Monroeville Blvd. The office and headquarters remain at this location today.